A recent study in America has shown that when people lower the amount of nicotine in their cigarettes they become less dependent and find it easier to quit smoking cigarettes. I believe that nicotine is probably one of the worst things in cigarettes as it is nicotine that causes your blood vessels to suddenly constrict and thus interfere with your blood circulation and blood pressure. It is not understood but if smoking cigarettes with a lower nicotine level helps people to quit then I am all for it. Of course it must still be remembered that this is just a step to stopping smoking and is not the answer. 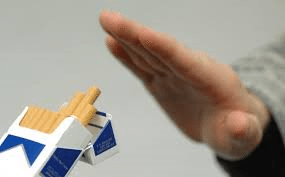 Even with lower nicotine levels you are still smoking cigarettes and still having the effects of nicotine and all the other chemicals that they put into cigarettes and it is still best to stop this habit as soon as possible.